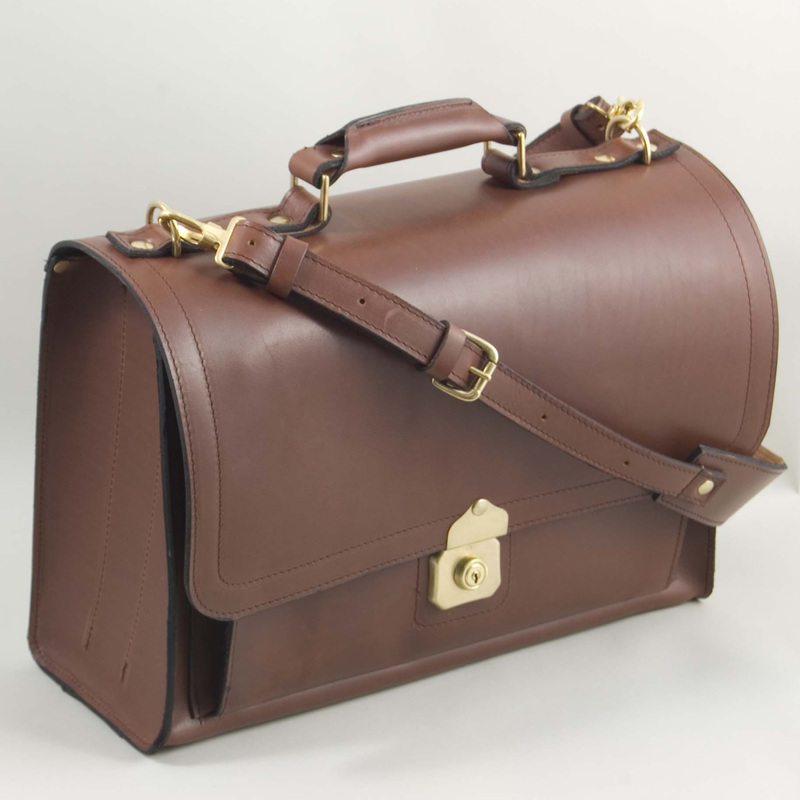 As the name suggests, the briefcase satchel is a hybrid between the satchel and the briefcase. 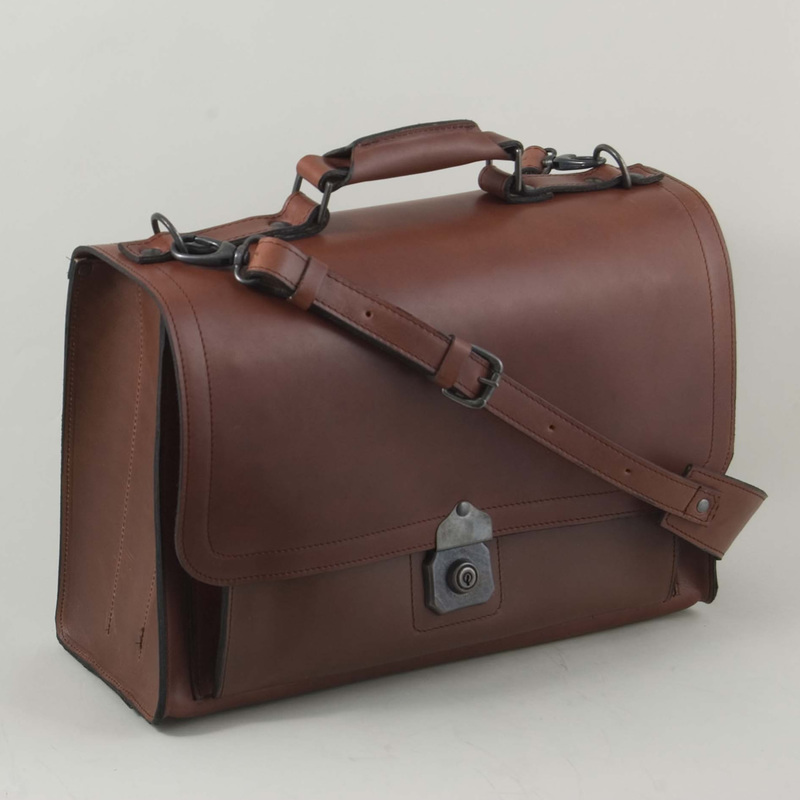 Henry makes them from the same robust (but lighter and more flexible) full grain satchel leathers rather than the thicker, stiffer, full grain briefcase leathers. 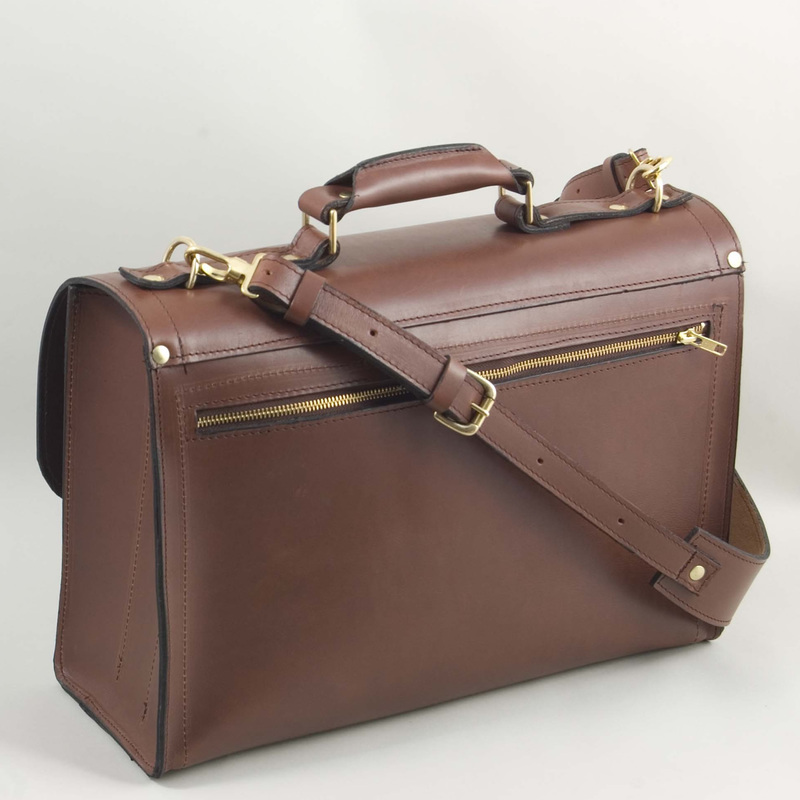 It fastens with the convenient briefcase style snap lock. Henry constructs the bag with the same detachable shoulder strap and (very comfortable) handle arrangement that he uses for the briefcases. There is a zipped pocket on the back panel. The gussetted front pocket has pen loops and a phone/glasses/ipod pouch. 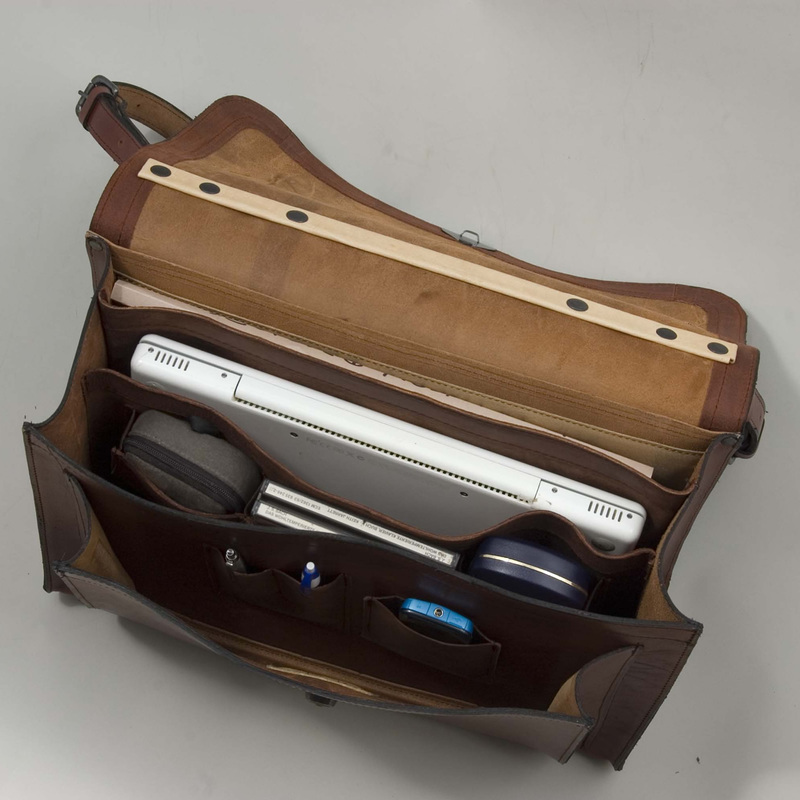 Inside the main body of the bag is a ‘hammock’ style compartment with a strip of shock absorber in the base to protect your laptop. There are also a set of briefcase style internal gussetted pockets for CDs and electronic gubbins (chargers etc.) stitched to the face of the ‘hammock’.